Each project has one Business Canvas and one Product Canvas, but there are methods that can be utilized to distinguish between business model or product approaches. Ideas and other entries can be tagged with a theme, such a #BusinessModelA and #BusinessModelB, or via the Connections feature on the Canvas. 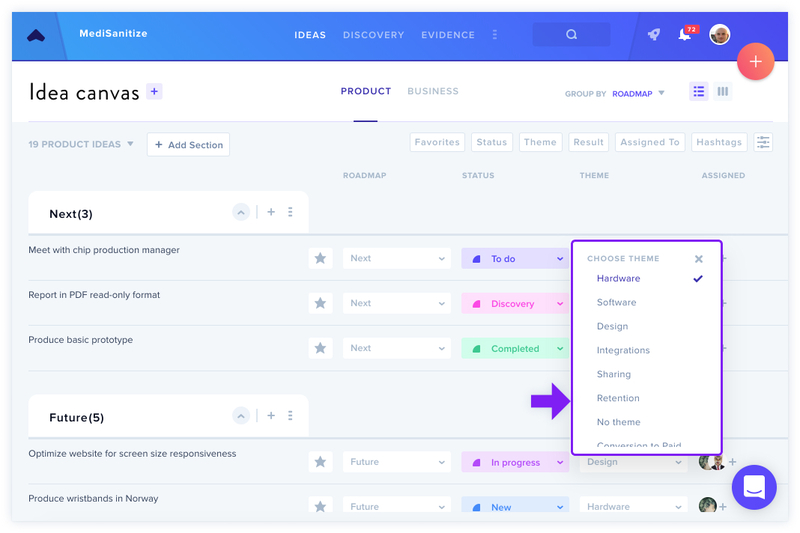 Additionally, in the Product Canvas, you can create your own themes, such as desktop or mobile to distinguish between approaches, based on which themes make sense for your product. Have multiple projects? Read about setting this up on GLIDR here! Learn more about adding tags and connecting your ideas!